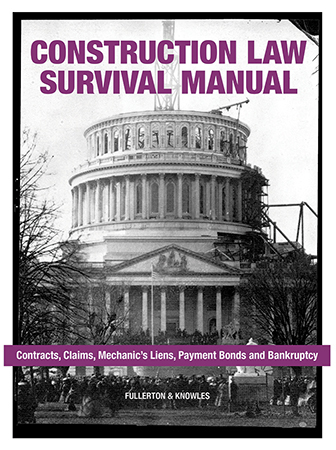 The Construction Law Survival Manual (CLSM) has been updated for a new era in the always-evolving world of contracts, claims, mechanic's liens, payment bonds and bankruptcy. Complied by long-time NACM legal consultant, James D. Fullerton, Esq., of Fullerton & Knowles, PC, the CLSM provides a comprehensive overview of the legal remedies available to credit professionals working in the construction industry. 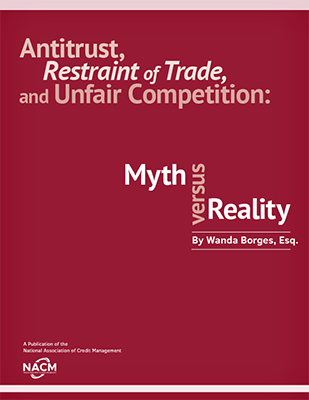 Fifteen of the CLSM's 17 chapters have been revised and now cover an even broader range of topics, such as working with minority business enterprises, employing the subsequent advance rule as a bankruptcy preference defense, and properly untangling mechanic's lien and payment bond rights as part of contemporaneous exchange defenses. When applicable, Fullerton has recounted recent court cases that help to illuminate the changing legal landscape for construction credit professionals. The CLSM also features 44 appendices, which include more than 20 forms and other helpful information. The final two appendices comprising the summaries of state mechanic's lien and payment bond statutes are current through January 2015.